For centuries secret techniques for awakening Kundalini have been taught in ashrams and Tantric mystery schools. Now you can practice these powerful meditation techniques in the privacy and comfort of your own home. You simply lie back, relax and follow the guidance. With only 30 minutes a day of practice, you'll feel the creative life force energy that is called Kundalini begin to flow and regenerate the very core of your self. In Eastern traditions, Kundalini is the name for the extraordinary powerhouse of cosmic energy that resides within you. According to many respected researchers, it is the source from which all creativity, genius, and psychic gifts spring. Other known benefits of Kundalini meditation are increased sexual energy, heightened creativity and greater vitality. 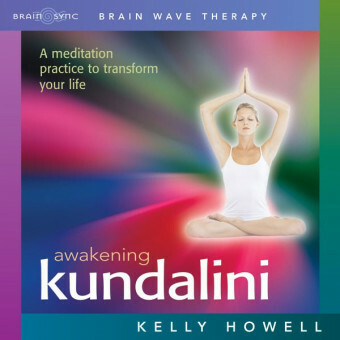 When Kundalini awakens, your entire life will awaken with insights, energy and creativity. As Kundalini travels upward through the chakra system it removes inner and outer obstacles to living your highest potential. In this remarkable guided meditation program, Theta waves are harmonically layered in music based on ancient Tantric traditions. Music and Theta binaural beats combine to entrain your brain and open the flow of energy to your chakras. As you experience the gifts Kundalini brings, your life will flourish with opportunities to enjoy and express more of who you really are.